AEVOGUE Designer Sunglasses for Women is the perfect choice for outdoor activities such as walking, driving, shopping, travelling or taking photos. It’s lenses can block 100% of both UVA and UVB radiation. UV400 rated sunglasses is essential to protecting your eyes against long term UV damage and keeping your eyes healthy when you go out. 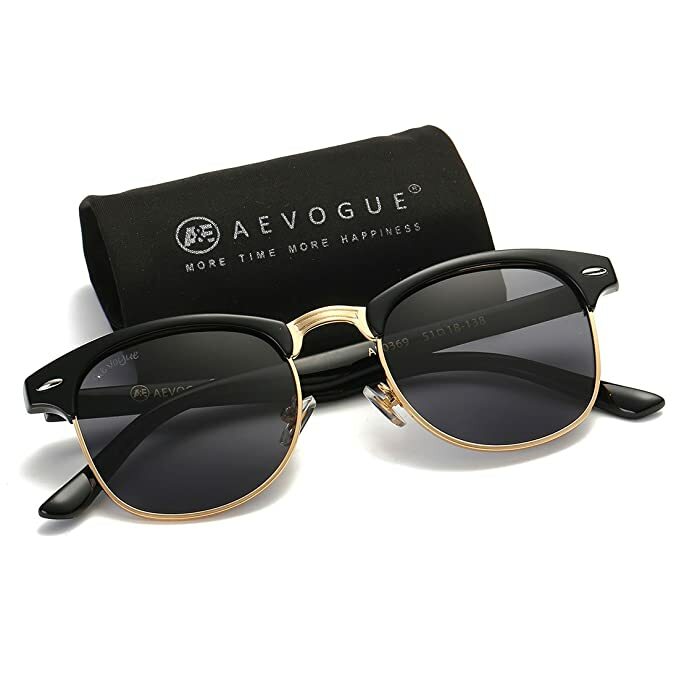 The AEVOGUE Designer Sunglasses for Women is made of high quality metal material and reinforced metal hinges that is durable enough for long time using. They are suitable for any climate and weather conditions.